In the past several years, Aquarion Water Company had been monitoring their system’s THM formation and attempting to lower them through treatment and distribution system changes. 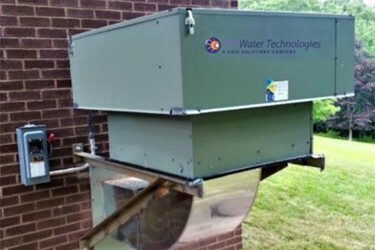 Aquarion engineers decided that reducing THM formation in the Laurel High Service Clearwell at the Stamford Water Treatment Plant (WTP) would eliminate concerns of elevated THM formation in the distribution system served by the WTP. Read the full case study to learn more. MORE FROM UGSI Solutions, Inc.